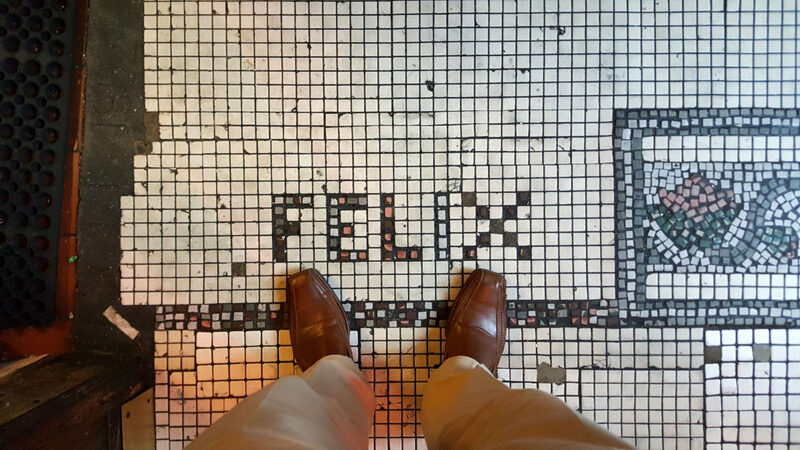 I’d been to Felix a few times for drinks in the nice weather, but I never actually sat down to eat until yesterday. I was invited in to take photos of the food and post some stuff to Instagram, so my wife and I went for dinner and tried some good French classics. 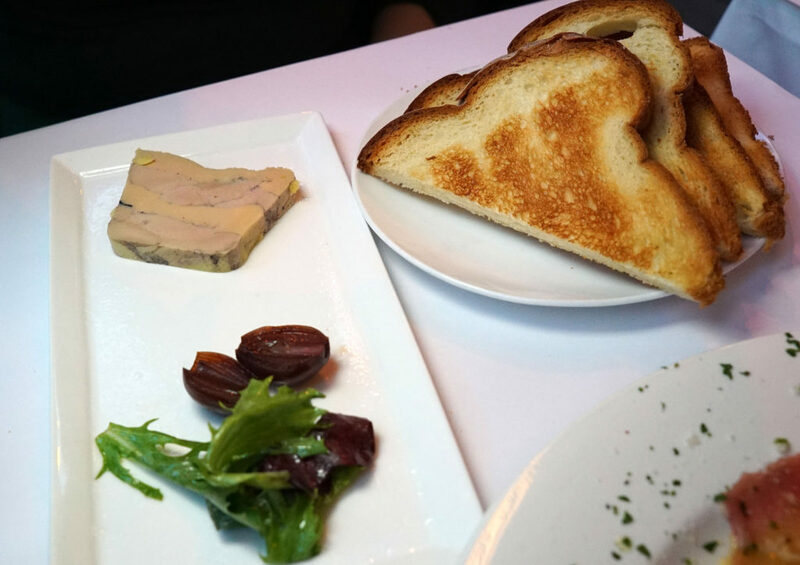 First, the foie gras terrine. This was incredibly smooth and creamy. 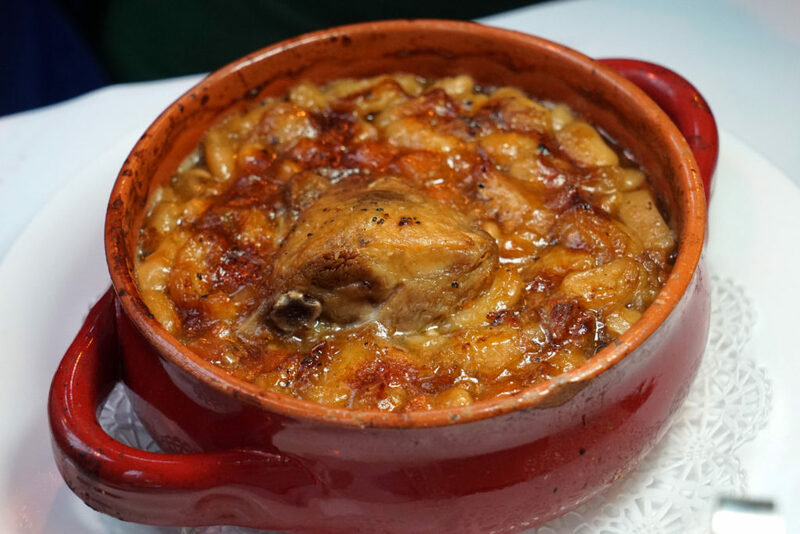 It was served with toasted bread and some caramelized shallots. Highly recommended, but I actually liked eating it better with the table bread than the toast. 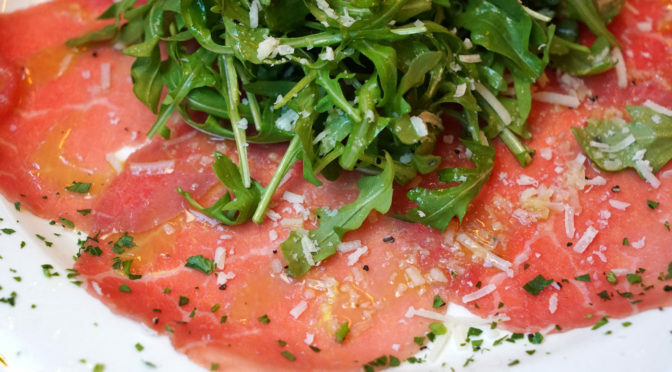 I had to get the beef carpaccio, just because, you know, beef. 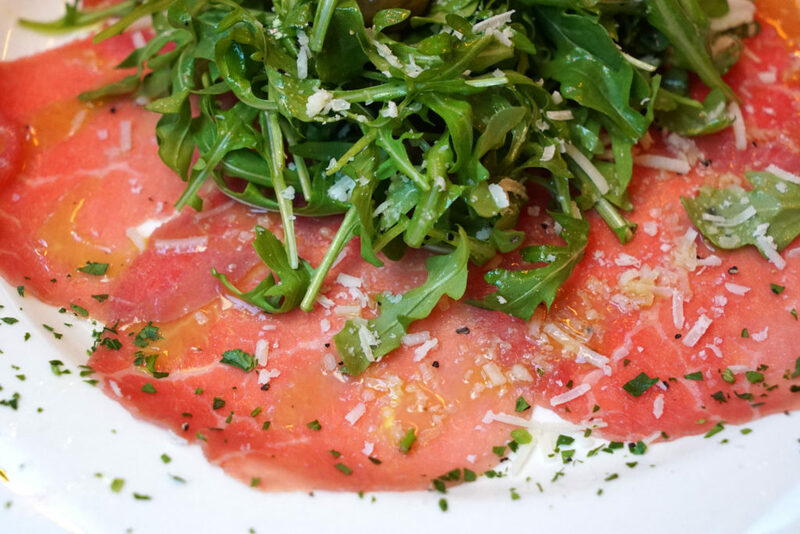 It was beautifully plated with arugula and shaved parmesan. Also really tasty, and also recommended. 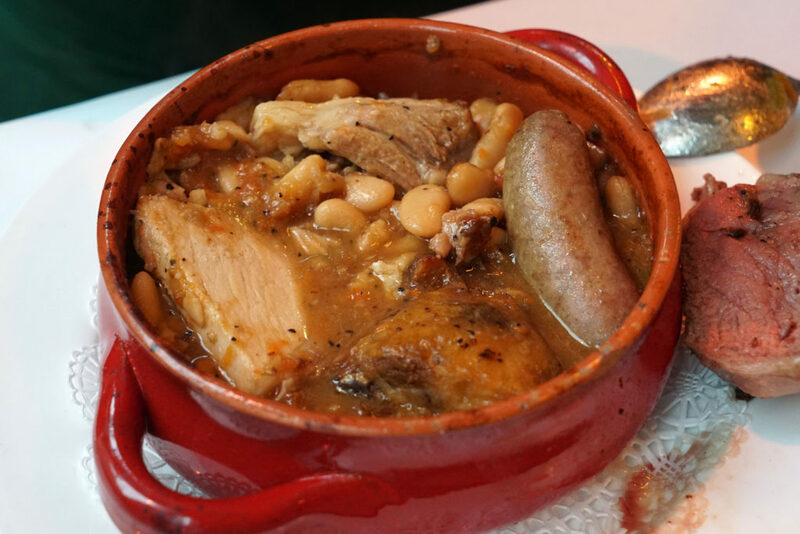 My wife went with the cassoulet. This baby was packed with a massive assortment of meats: chicken, duck, pork and two types of sausage. 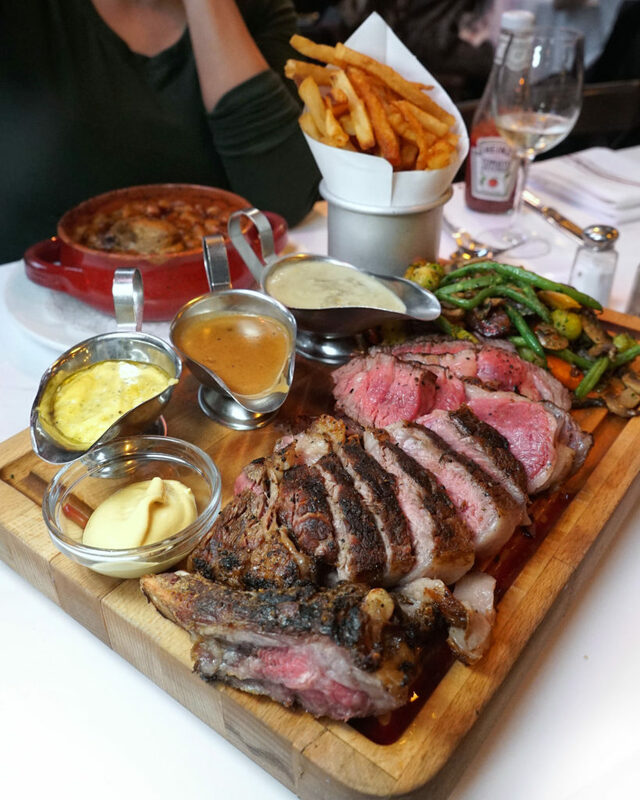 I went with what was described on the menu as both a cote de boeuf and an aged 40oz prime rib for two. 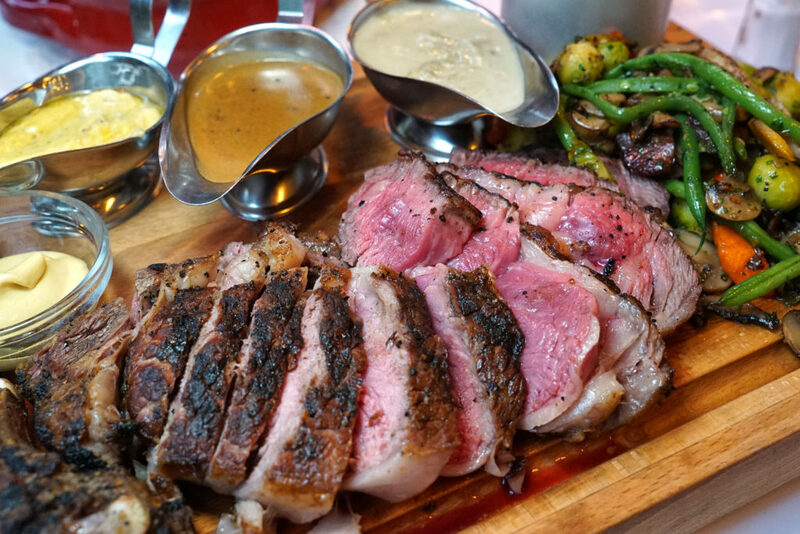 However, what came out was more like a traditional steak as opposed to roasted prime rib. It also felt like it was a little smaller than 40oz. Perhaps maybe 32oz. 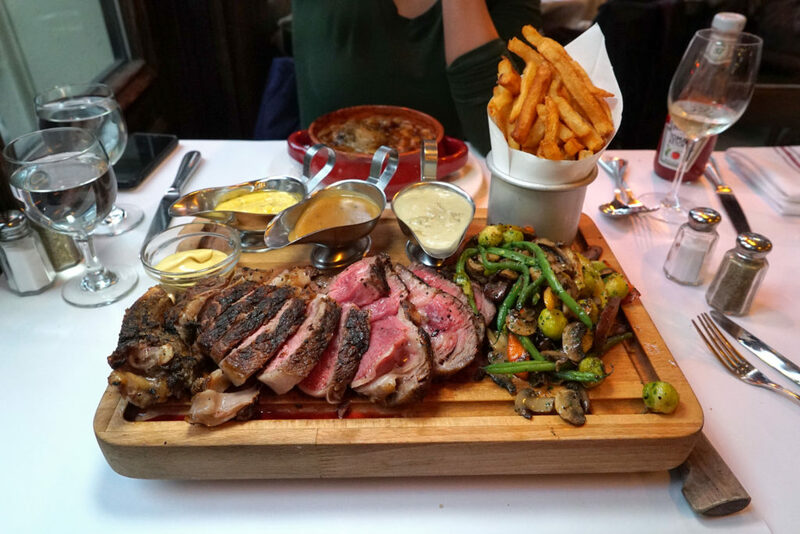 I ordered somewhere between rare and medium rare. Some parts were spot on, and others were over. But the flavor was pretty good at a solid 7/10. It also came with a nice vegetable medley of string beans, carrots, mushrooms and baby Brussels sprouts. The fries were really great too. The three sauces that came with it were Bernaise, peppercorn and blue cheese (and a small dish of dijon for the fries). My favorites were the peppercorn and the blue cheese, but I was going into the peppercorn more because the blue cheese sauce was strong. 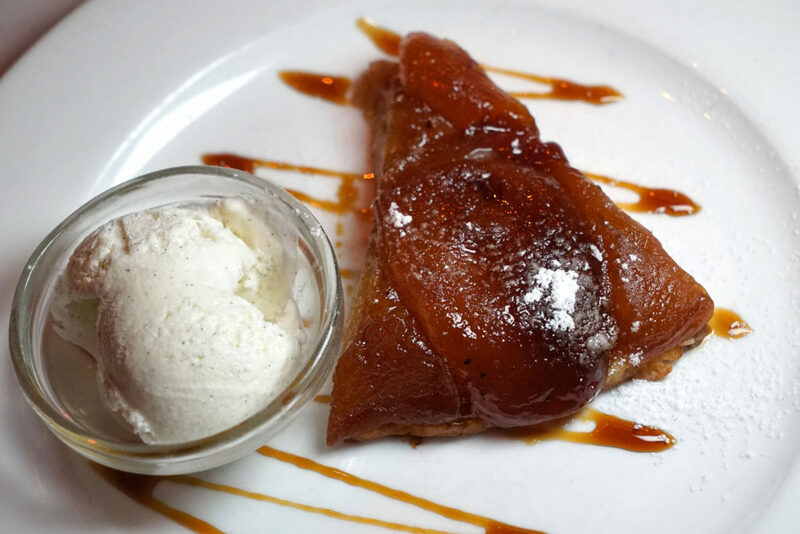 For dessert we tried the apple tart (tarte tatin). This had a great texture on the outer edges of the tarte, with a soft and tasty apple inside. A nice pairing with some vanilla ice cream.